BloodHorse.com has launched free site registration to give regular users free unlimited access to hundreds of free reports, race results, webcasts, and more. One of the benefits of a free account is simplified blog commenting. Please take a few minutes to read below to find out how it works and how to set up your free account for easier commenting. Previously, users to did not have to login to comment. 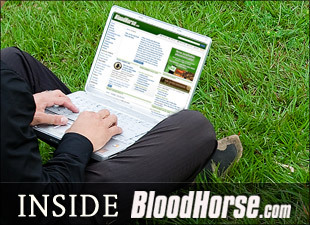 Recently, BloodHorse.com implemented free registration on the site, allowing users to create a free account in order to gain unlimited access to hundreds of free reports, receive free race results, and many other free benefits. Free registration makes it easier for you to leave comments on the blogs you visit. 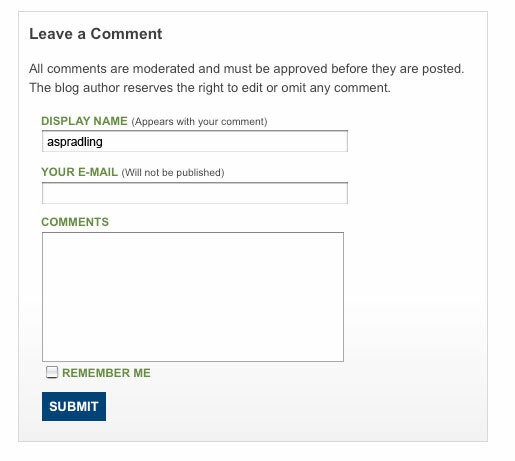 Now, instead of signing in each time you want to comment, you can register for a free BloodHorse.com account and stay logged in so you can comment freely. 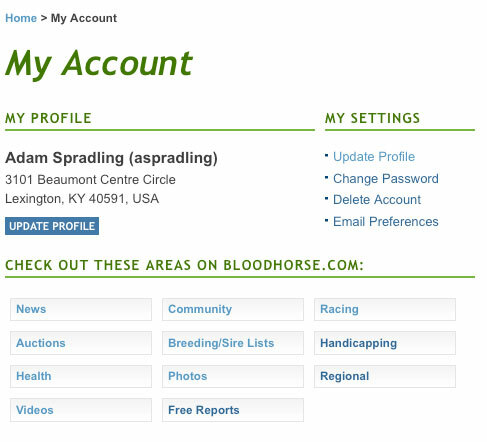 Your screen name is a unique name you choose to identify yourself on BloodHorse.com to other users. It will appear when commenting on items, like blogs, across the site. Please make sure that you are comfortable with your screen name before you complete registration. If you would like to change your screen name later, you may do so in your account settings. 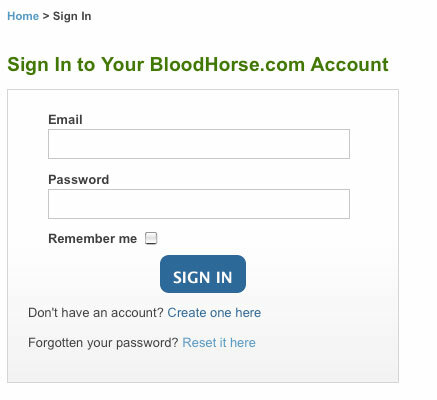 When you do register for your free BloodHorse.com account, be sure to create your account using your own personal email address. A verification email will be sent to the email you provide in order to complete your registration and activate your account. If you don’t click on the activation link in the email you receive, you will not have the ability to comment on blogs. Click on the "Reset it here" link when prompted to log-in to BloodHorse.com. An email will be sent to the email you registered with, so be sure to double check your email when entering it upon registration. 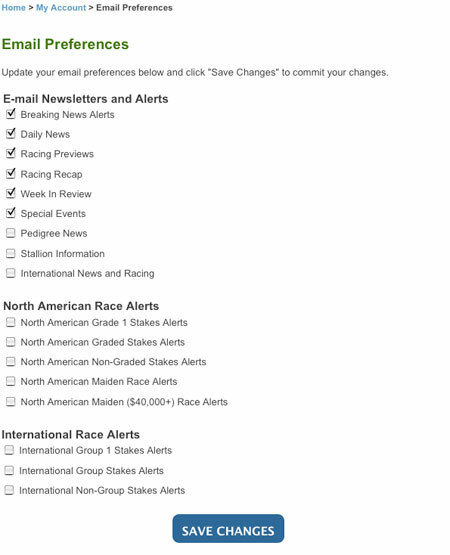 You can find our many daily, weekly, special newsletters and multiple types of alerts, including NEW racing result options, under "Email Preferences" in your BloodHorse.com account settings. Below: "My Account" view. Click on "Email Preferences" on this screen. Below: Newsletter and Alert Sign-up page. As seen if "Email Preferences" is clicked on above. 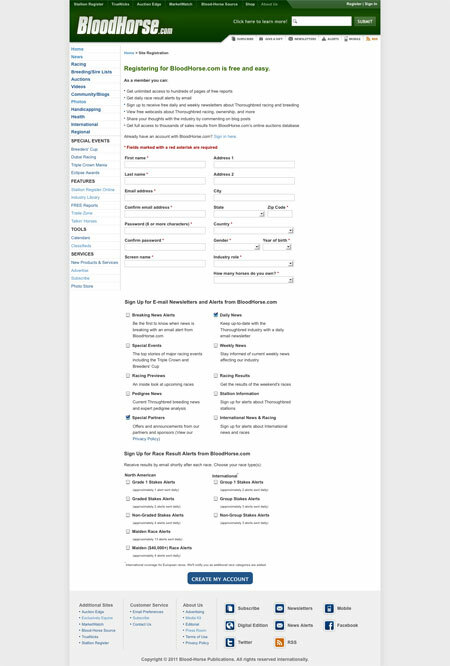 Below: What your site registration screen will look like.